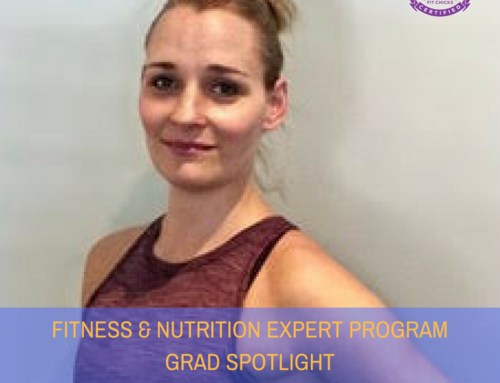 We are so proud of all of our graduate of the Fitness & Nutrition Expert program! 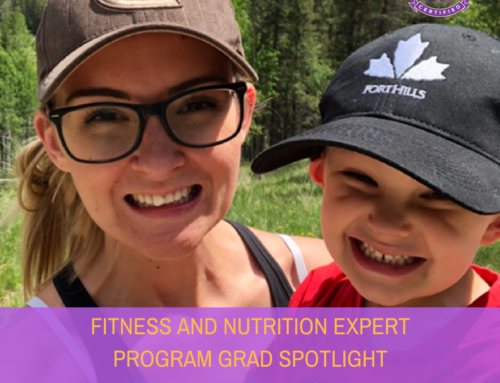 To celebrate their amazing achievements and inspire you to take action to go after your dream career, we are going to be featuring some of our amazing grads on the blog who have had great success in creating their career in health and fitness since graduating from the program. This week we are so proud to introduce you to Dougmary (aka Doucky!) 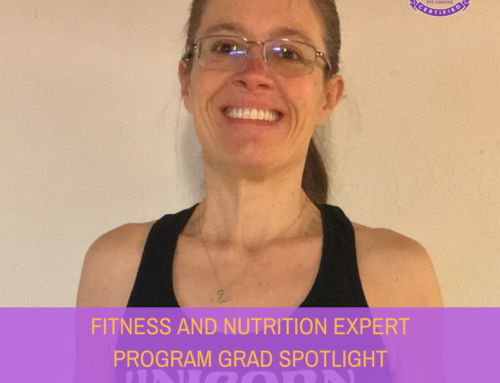 Dougmary is a recent grad who began the her journey with the FNE program in Sept 2016 and is now on a mission to share her love of healthy food and exercise through her company A Green Unicorn in Jersey City. 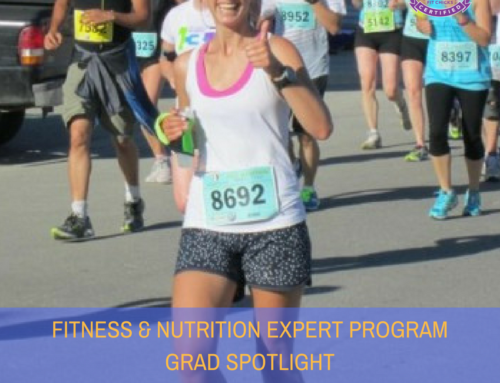 Check out her story and prepare to be inspired! Tell us a little about your business? 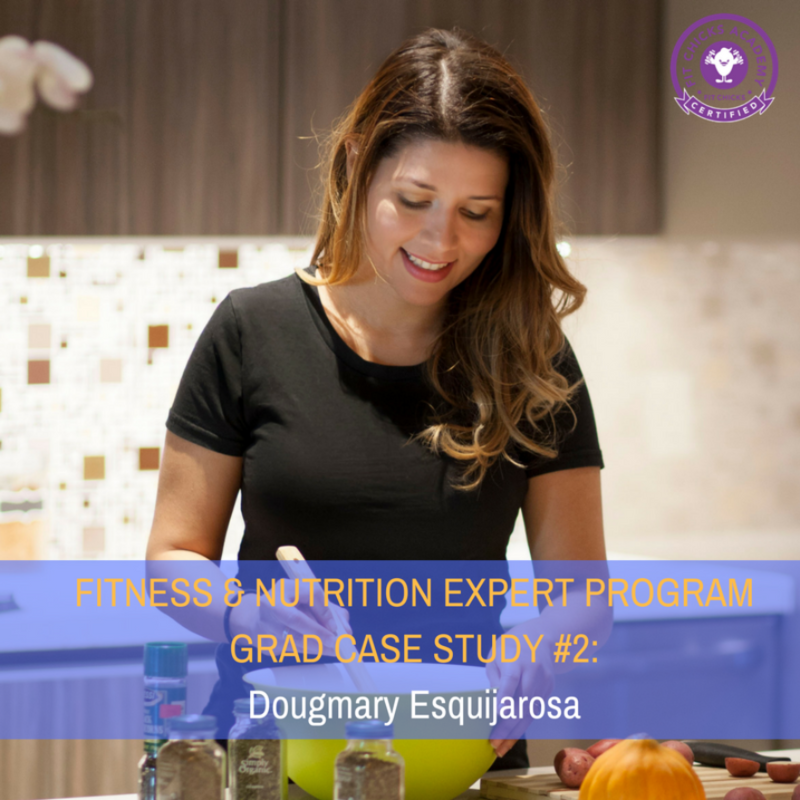 My name is Dougmary Esquijarosa and I’m a Fitness and Nutrition Expert based out of Jersey City. I’m also the founder of A Green Unicorn. 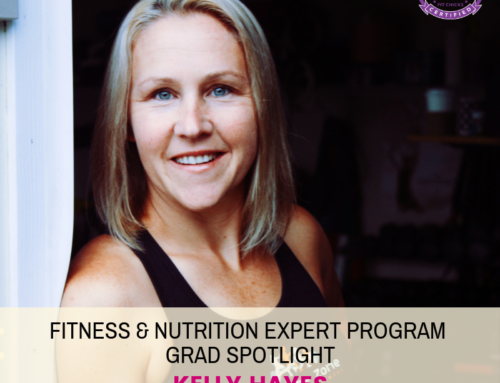 I conduct HIIT (high intensity interval training) group classes, provide nutrition coaching and I host nutrition workshops. 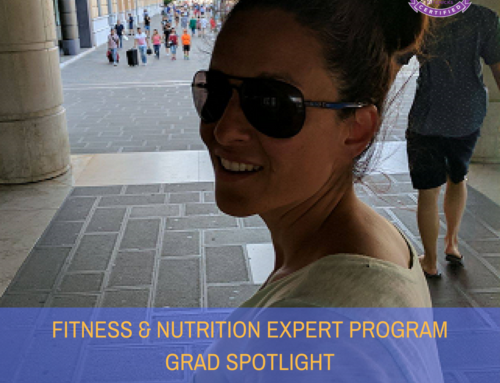 What made you decide to get certified and start a business or become a trainer in fitness and nutrition? I was a picky eater all my life, also I had a career in advertising and I was having events and eating out all the time. 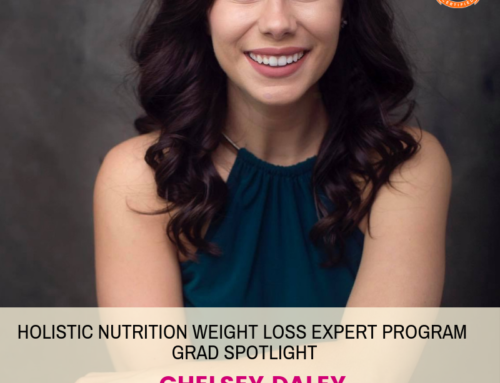 I was always sick, but healthy eating wasn’t a priority until I delivered my baby and I gained 20 pounds in 4 months. 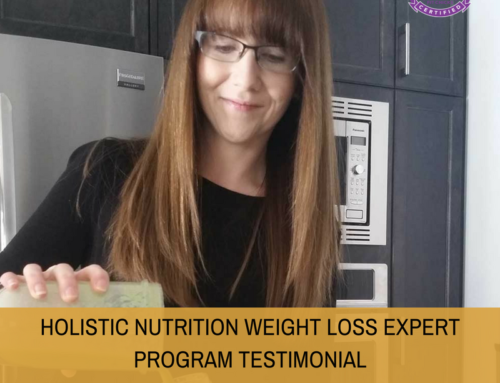 I was having a hard time not only trying to embrace my new body, but also I was in pain all the time, I had low energy and I couldn’t understand what was going on with me and my husband, since he was sick as well. 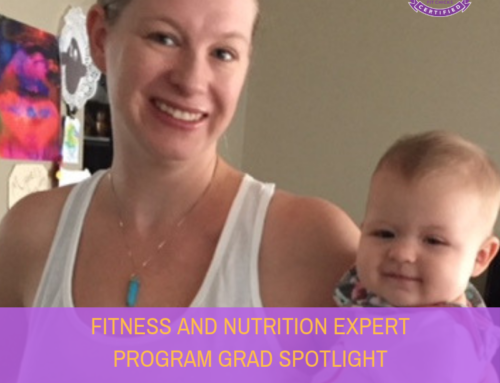 I didn’t know how to cook and I started learning little by little because my daughter was starting to eat solids. Once I started learning how to cook, I was very curious about why should I use this oil and not another oil, which is the best ingredient, or what was healthier option for my daughter, and within 3 months I became a food blogger sharing healthy and easy recipes for busy moms. 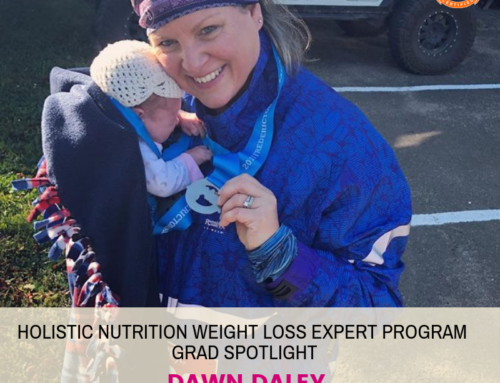 I lost 20 pounds and my husband and I started feeling better and better everyday with more energy and I wanted to share my new lifestyle and knowledge with other families that could be going through the same situation. 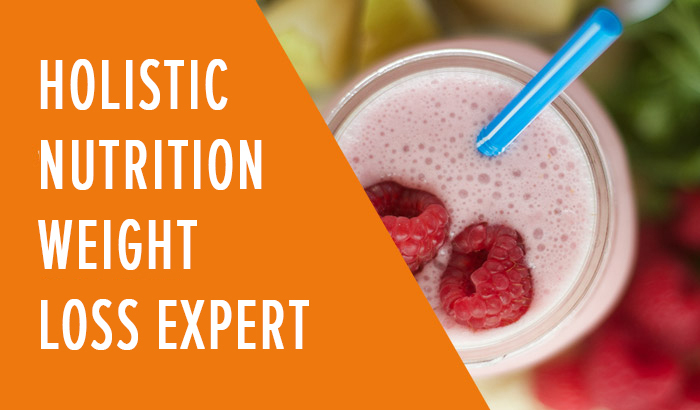 One day I was watching a food documentary and I saw the increment of illness that could be controlled with lifestyle changes, and I felt I need to do something about it. 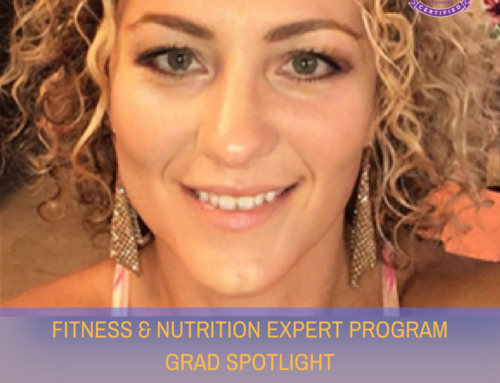 I chose the fIT CHICKS Academy Fitness & Nutrition Expert program because I was also a fitness enthusiast so It matched perfectly with my goals and personality. What has been your biggest successes since starting your business? 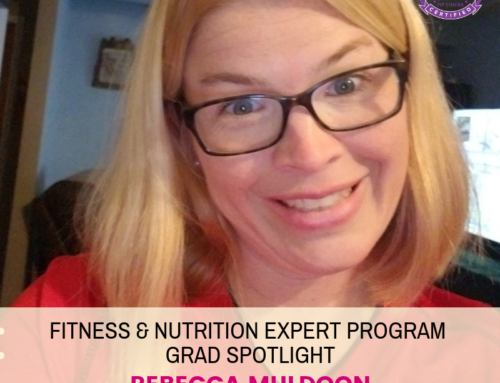 I launched my business on March 8th of this year and had my 1st Nutrition workshop on March 31st and it was sold out! I was so happy and nervous at the same time, but the next morning when I realized it was a successful event and that the attendants were sending me messages telling me they actually learned something and they had fun doing it was when it hit me that I was doing the right thing and I was exactly where I wanted to be. The event was the celebration of my graduation, the launching of my business and also a confirmation of my life purpose. I’ve been partnering with local businesses to host events and workshops. I have been and continue to grow financially each month. I can tell you that I’m earning more and working less every time since I have been organizing all my programs and processes, everything is more systematic and I save a lot of time. 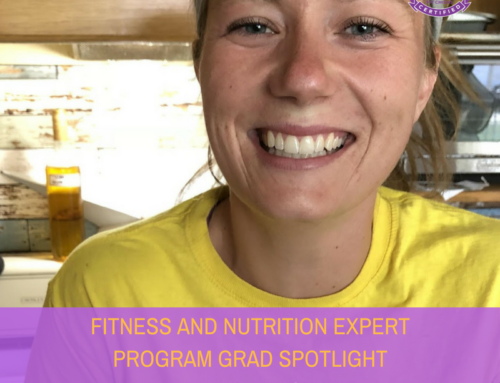 I partnered with a local Zumba Instructor and we run a 6 week challenge. This is our 4 round and it always a success, we thought it was going to be a one time experience and look at us now! I have a very balanced life that It looked impossible to have. I take care of my daughter in the afternoon and run my business in the morning and on a few hours during the weekend. I have found myself happier and that has impacted enormously on the dynamic of my family as well. A friend of mine who is also a Zumba instructor got in touch with me because she wanted to run a 4-week challenge for her clients. 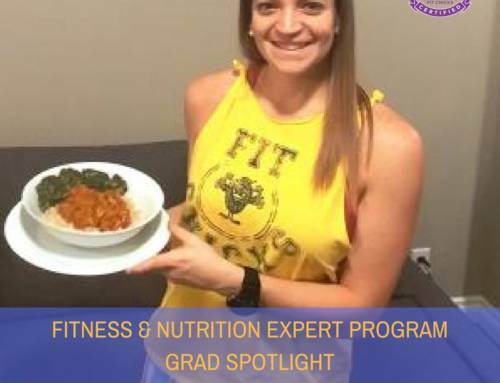 She wanted to bring the nutrition component and she thought we could be a good fit for each other. I thought it was a great idea but she told me that she wanted to start in 1 week. I was so nervous and my confidence issues attacked me but I didn’t let fear to hold me back. This time pressure made me run to put all my processes on place. 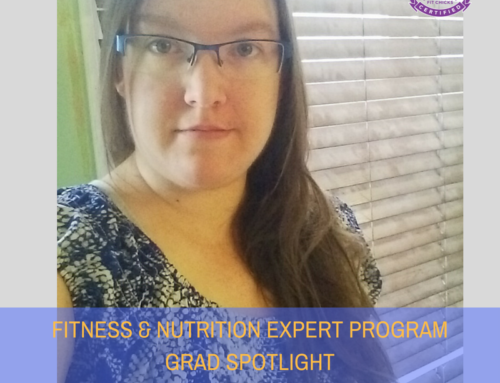 I didn’t have experience working with 10 people at the same time and by that time my nutrition coaching appointments were long and slow, so I had to change my structure for something easy to understand and implement for my challengers. Also I need to have all the paperwork like waivers, photo release, Par-q, food log, tracking sheets etc. ready before launching day. It was a crazy week but we made it! 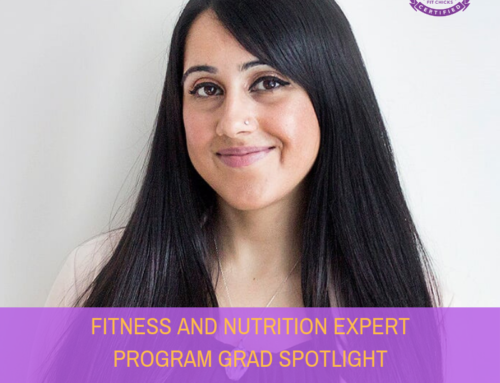 I coached 10 people in Nutrition in 5 days with different backgrounds and I learned a lot about ethnic foods, habits ,and routines. It was crazy but fulfilling now, I do the same thing every 6 weeks with no hassle at all. I’m very grateful for this experience. 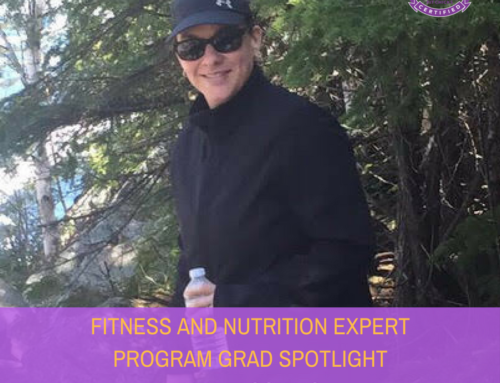 How do you feel the Fitness and Nutrition Expert Program helped you create your biz or dream job? 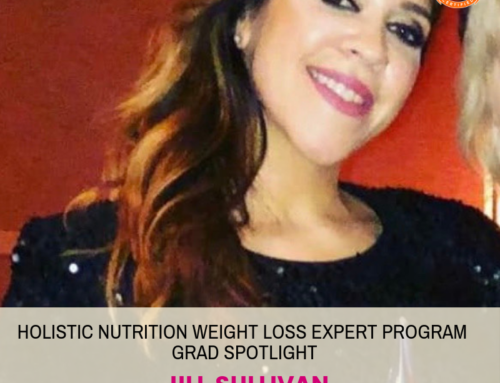 What part of the program helped you grow the most ? What was your fave moment of the program? Initially I enrolled the program thinking it could be something to enrich my knowledge and share my hobby with the world. I feel the program helped me in everything. 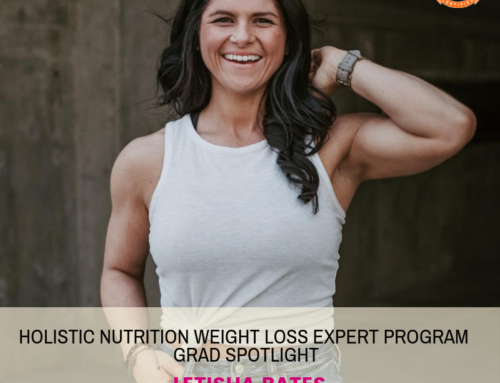 First of all I was so inspired for the business FIT CHICKS already has. 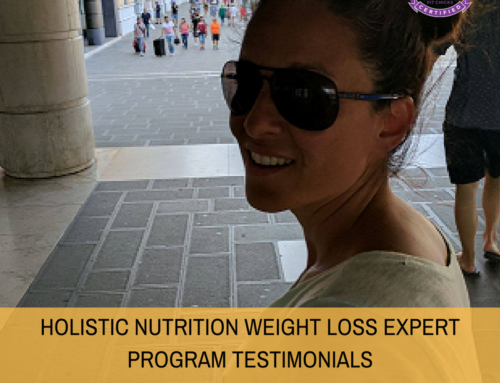 Also the program pushed me to have everything ready for the launching and I didn’t feel I needed an extra certification to launch my business. I graduated ready to help people with not only the knowledge, but with the tools I needed. I feel really well prepared when I’m teaching a fitness class and when I’m coaching a client. 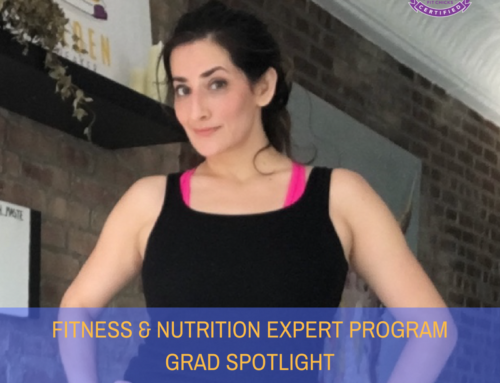 I especially never thought I could be able to teach a fitness class and now it is one of the most enjoyable and fulfilling parts of my business because that module was so well structured for people who even didn’t have a fitness background. How do you stay motivated? What keeps you motivated? I wake up really happy about what I’m doing. I’m always thinking about how I can reach and help more people. 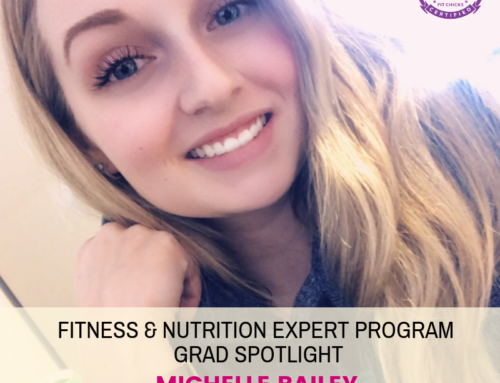 I read a lot, I do a lot of research, I enjoy a lot learning about nutrition and fitness so while I cook I listen to podcasts, when I’m folding laundry I’m watching Youtube videos, I never stop! I also try to be surrounded with like minded people and that helps because new ideas and collaborations come up all the time. Where do you see your business in the next year? What do you want to achieve and how do you plan to do it? I’m already working on my plan for the next year. I plan to launch my business online, I want to be able to help even more people and Internet is the way to do that. I’m currently taking a program that it is helping to develop my signature programs and understanding how is having a online business. 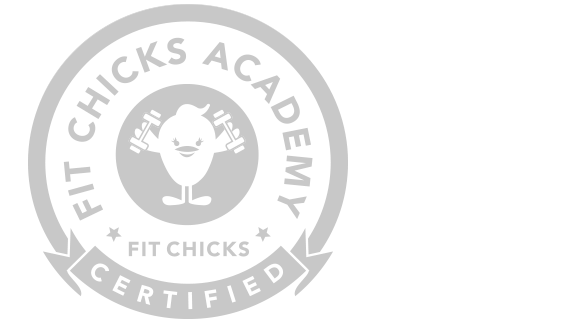 If you could give one piece of positive advice to a chick who is thinking about getting certified or just starting on her journey to working in fitness and health, what would it be? I would tell her don’t hesitate anymore because a lot of people need your help. It is incredible the impact you can have not only in one person but in their entire family. Also don’t wait to have everything perfect to start working or to launch your business because you will always have to adjust and tweak things. Just launch and figure things out on the way. Are you ready to start working towards your dream career? 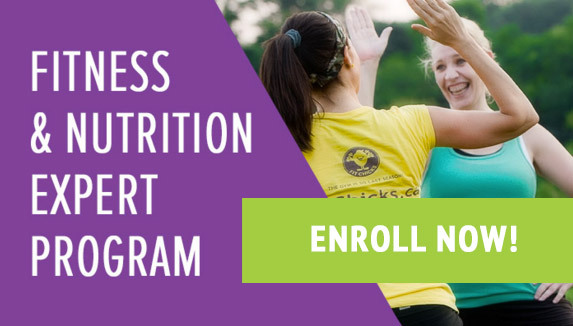 There’s still time time to register for the next class of FIT CHICKS Academy Fitness & Nutrition Expert program! It starts March 28 – download our FREE 30 page program brochure here!